First of all, let me say I owe Barry Keane an apology for even implying that his research might have been ‘alternative facts’ and for my tardiness in responding to his more recent input on the Freemason issue in Cork. The truth is that I had long since lost interest in the topic and six months, sometimes a year, can pass before it occurs to me to look up what might have appeared on the subject. Similarly, I have not looked at the ‘Cork Spy Files’ since the last time I blogged on them. In fact, I blog so rarely anyway that I invariably forget the password the next time I want to log on. However, I notice from the last edition of History Ireland that my inattentiveness (I won’t say laziness since it is just that I am too busy with other matters to remember to look these things up) is now used as evidence that I am, in the words of Andy Bielenberg, an ‘ideological revisionist’ and a purveyor of ‘bogus conclusions’. The editor of History Ireland also waded in to imply that ‘certain bloggers’ – myself, presumably, since the Bielenberg article is largely about me are guilty, apparently, of ‘pushing a sectarian thesis’ and that this supposed thesis is ‘fake news’, ‘alternative facts’, a heady mix that can hardly be described as complimentary. Clearly, I must have done something truly awful to merit this splendidly negative tirade. The question is: to what do I owe this dubious honour? Is this all about a book that is as good as out of print? One would think not. But let’s run with it anyway. Let’s take this at face value and assume for the sake of argument that this is all about Freemasons who may or may not have gone missing in Cork in 1921-22. To get to the crux of the matter – or part of the crux anyway: The bottom line is that Barry Keane’s latest input on the subject of the missing Freemasons of Cork is an excellent piece of research, far better than his earlier inputs in the area. This is genuine, detailed evidence, the production of which must have involved an enormous amount of footwork. People have received PhDs for less. I am not being facetious here. Nor am I being browbeaten into saying this by Andy Bielenberg’s article referred to above. (Though the article did bring Keane’s work to my attention which is probably no bad thing since I might have spent another six months in blissful ignorance of it.) Keane’s new material is a very valuable addition to what is available on the revolutionary years in Cork and deserves an adult response. The bottom line is that what he did is the equivalent of doing the family trees for 32 individual families. And anyone who has tried to do their own family tree will appreciate the amount of work involved. While it was possible – and probably justifiable – to dismiss it before, it is not possible to dismiss it now. I also get the feeling that Keane is genuine when he states that he is working in the interests of establishing the truth about these matters. Because he is also able to give credit where it is due – in sharp contrast to some other commentators. He states, for instance, that it was not possible in 2010 to do what can be done now in terms of genealogical research. And he’s also not afraid to produce material that some might claim might go to undermining his argument. For instance, he appears to confirm that Henry A. Harris, one of the missing Freemasons and former Divisional Secretary of Cork YMCA was indeed drowned in Boulogne in 1923 and, while he states that there was nothing to link this to Cork, the very fact that the French police received a note warning them off, signed ‘I/O IRA’ suggests there was at least an Irish link, even if the police apparently dismissed it as a red herring. But to get back to the matter of the other missing Masons and the apparent reason why all the brickbats above were thrown: All I ever said was that there was sufficient circumstantial evidence to suggest that something nasty happened to Freemason Lodge 71 in Cork during those years and that at least some of these men may have disappeared. I put out the full list of ‘struck off’ Masons in the hope that somebody might come back with information on the subject. It took seven years, but Keane, in fairness to him, was the only one to rise to the challenge. He did however, as he freely acknowledged, have several advantages that were not available to me almost a decade ago. As he put it, ‘by happy coincidence’, the Freemason records of Lodge 71 were ‘rediscovered in Dublin’, the Irish Births, Marriages and Deaths records also came online this year and he was able to gain privileged access to the Cork Freemason records in the Cork City and County Archives. When I was researching The Year of Disappearances, all I had was a pencil to scratch down whatever I managed to pick up in a few hours in what I think were two visits to the Freemason headquarters in Dublin – where I have to say the staff were very helpful. And Ancestry.com was then a lot more limited than it is now. As soon stuff became available, I followed it up and found around half of the Freemasons, something I immediately published in these pages. But an important point is that I had no luck in trying to get access to the Cork Freemason records. I tried on, I think, four separate occasions to access this material, both before and after it went into the Cork City and County Archives. On each occasion, Dr David Butler, who controlled the material, informed me it could not be accessed. Two prominent Masons even gave me letters of introduction, but to no avail. I’m not saying I’d have done better if I had access to this archive but it would have helped. You can only do the best you can do with the material at hand. Also the fact that the Irish BMD and the Dublin Freemason records are now also online makes what was an impossible task actually doable. Which of course does not stop people slamming me for failing to do this at a time when it was exceedingly difficult, if not next to impossible. 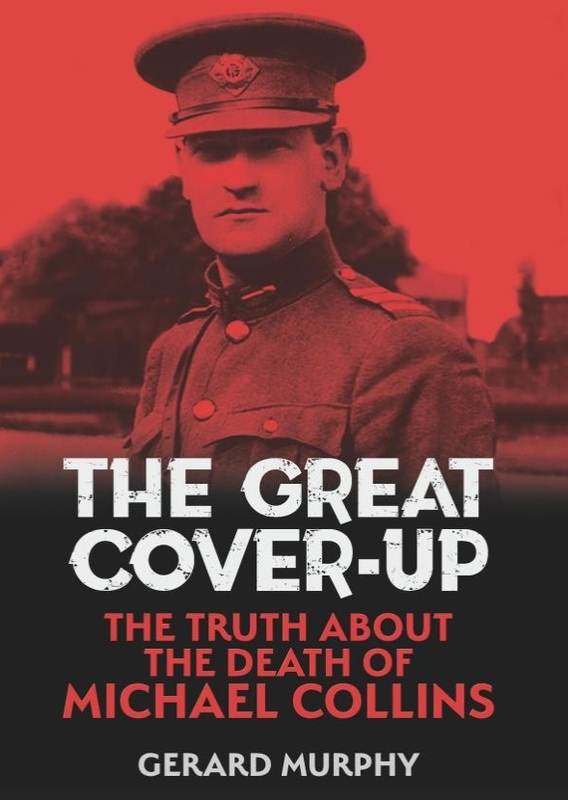 Andy Bielenberg has also criticised me in the strongest possible terms for failing to realise that Francis McMahon, which was the name of one of the missing Masons, was in fact one Alphonsus Leo McMahon, a Catholic clerk at the War Pensions office who was abducted by the IRA and shot in 1921. The fact that Bielenberg only discovered this after several previous attempts to identify him failed and naming the wrong man himself does not appear to be a mitigating factor. Nor was the fact that the only Francis McMahons recorded as living in Cork at the time were both Protestants a mitigating factor either. Clearly, if one is to accept the tone of Bielenberg’s piece, I am guilty of the crime of not having some sort of clairvoyant powers that I did not manage to establish that ‘Francis’ was actually Alphonsus. (Nor does he attack Barry Keane for calling McMahon ‘Francis’ as late as this year in his book Cork’s Revolutionary Dead.) Yet this only became known to Bielenberg himself in the last few months when he was contacted by the McMahon family. Also I’m severely wrapped on the knuckles for failing to realise that a John Moore who disappeared in May 1921 was not the same man as the John Moore who appeared in the list of struck-off Freemasons, though almost nothing is known about either, other than that a man of that name disappeared. Clearly what is sauce for the goose is certainly not sauce for the gander. But to cut to the chase of Keane’s findings that the ‘great majority of the Freemasons definitely survived’. This is true in the strict grammatical sense but there are six (seven if you include Harris) still missing. Furthermore, it has taken Barry Keane, Bielenberg and an entire team of researchers at UCC the best part of a decade to do this. So there are still six missing Freemasons that he cannot account for – which is around the number I have always expected. And I’m not sure if I agree with Keane’s suggestion that these six individuals were not even in Cork at the time of the revolution, since Lodge 71 was based in Cork all that time and these were not struck off until the mid-1920s. There is no question to my mind that something awful happened to Lodge 71. Thomas Stewart would not have been in terror of his life simply because he was Warrant Master of the lodge otherwise. William Cooke, the leading Freemason in Cork, who lived across the road from Florrie O'Donoghue, was murdered at his doorstep in August 1922. And there is no question that James Beal of the lodge was shot dead by the IRA. And so many IRA veterans remembered the list of ‘alleged spies’ supposedly found on him that this is likely to be true too. But the question is what happened? My view now – and this is coming from new research I have been doing recently – is that the members of Lodge 71 were in all probability among those city loyalists who were forced to flee Cork in the spring of 1921, something which was reported by several sources at the time – and which has been noted both by myself and John Borgonovo. (The most notable of these of course was George Tilson with whom I open The Year of Disappearances and who was found dying in the toilet of the Fishguard train as it pulled into Paddington station a few days after Beal was killed.) Keane’s work did find many of the struck-off Masons living in England. It is entirely possible that some of the six did indeed disappear – especially if they were actual spies. But how likely is this given that there is no record of anybody looking for the bodies afterwards, something which is of course regularly claimed by my critics? Probably a lot less likely than I thought ten years ago, given the amount of information that has since become available. So I am more than happy to update my material accordingly, which is what I am doing here. When is the Historical Method not the Historical Method? In 2007 John Borgonovo published his book ‘Spies, Informers and the ‘Anti-Sinn Fein Society’. Central to his book was the thesis that the Cork city IRA had captured a young Protestant lad called Parsons who had confessed to being a spy for the British. As a result of the confession the IRA then rounded up a number of other Protestants or had them shot as members of a spy ring called the Anti-Sinn Fein Society, or equivalent title. Borgonovo’s thesis had merit since it was based on the surviving accounts of several prominent city IRA men and they could hardly all have been lying. While Borgonovo had no idea who Parsons was, let alone where he lived, or when, or even if, he was captured, it was still unlikely there was no smoke without some kind of fire. Borgonovo reckoned this happened during the War of Independence. Among the many things I showed in The Year of Disappearances was that the Anti-Sinn Fein Society was a cover term used by RIC and military death squads who went forth at night to assassinate IRA members. (This had previously been stated by Peter Hart but I put bones on the story by digging up a chapter-full of supporting evidence for it. I don’t think anybody disputes this now.) I also found that Parsons – who indeed was a fifteen-year-old Protestant member of Cork YMCA – was abducted from near his home at High Street on 20 March 1922, a full year after Borgonovo suggested he was. Therefore it was axiomatic that if Parsons was central to the capture of any sort of ‘spy ring’ that this must have happened around the time Parsons was captured, that is to say March/April 1922 rather than the spring of 1921. 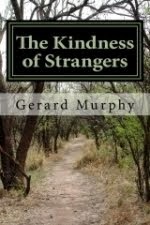 So it was perfectly legitimate to suggest, as I did, that the abduction of these alleged ‘spies’ might have occurred in 1922, rather than 1921 and furthermore that it might correspond with newspaper accounts of six ‘prominent citizens’ being abducted by the IRA on St Patrick’s Day 1922 – which is a few days before Parsons was kidnapped but a few days after another teenage member of the YMCA, Thomas Roycroft, had disappeared in the same area. It was also perfectly legitimate to suggest that this may have been connected to the many allegations by IRA members of some sort of ‘spy ring’ under the auspices of the Freemason organisation, particularly in view of the treatment which was clearly meted out to Lodge 71, 32 of whose members had been struck off in those years. If Keane has confirmed that Harris, who was Divisional Secretary of the YMCA was in fact drowned in Boulogne in 1923, this is further evidence of this. The only reason I rehash this here is because I don’t remember anybody criticising Borgonovo for putting forward his unproven thesis at the time – nor should they have. He was just putting forward his theory based on the best evidence he had at the time he wrote his book. Nor do I remember anyone jumping on him when my work showed that this particular thesis had been superseded by mine – based on more up-to-date information. After all, this was merely the way history progresses. Historical works will always be superseded when other historians find new material or new material becomes available. Borgonovo’s book is still quoted approvingly in UCC’s ‘Cork Spy Files’. It is not, I note, referred to as ‘bogus history’ or as ‘alternative facts’ or 'fake history’ simply because it was superseded by the discovery of new material – nor should it be. Similarly, the ‘Spy Files’ and more latterly ‘The Cork Fatality Register’ are stated to be public engagement projects. In other words, the register is updated as new information comes in. But this is merely a more rapidly-evolving version of how all history writing develops. A historian writes a book or an article based on the evidence that is available at the time of publication. When new information comes available the work has to be reviewed. This is the historical method. All history books therefore are provisional and will always have to change when new information becomes available. So why is it that when Bielenberg takes this approach himself it is called an ‘ongoing engagement project’ and when I do the same it is called ‘shifting the burden of proof to other historians’? Am I missing something here? Because as far as I can see there is no difference between the two – or if there is, I fail to see it. In other words, I am excoriated for doing exactly the same thing – putting out a best-fit scenario in the hope that new information will come in to prove or disprove the hypothesis. (It is also known as the scientific method.) I am also pilloried for producing – apparently – ‘fiction’ based on ‘a spectacular misinterpretation of sources’ and for coming to ‘bogus conclusions’ when I came to no conclusions at all, while Bielenberg describes himself as being involved in a ‘multi-year research project’ for exactly the same approach. This is such a spectacular double standard and is so easy to refute that it is almost funny. But there is something else I want to clear up, lest there be any confusion about it. When I said ‘alternative facts’ in my last blog on the subject, it was not directed at Barry Keane. Rather, what I had in mind was what I call the ‘Greening’ of Irish history – though it is a particularly nasty hue of green if the relentless campaign waged by Niall Meehan against Peter Hart over the past almost twenty years is anything to go on – and yes, it is almost twenty years! One of the more dramatic 'stunts' in this campaign was Meehan marching into TCD demanding that Hart be stripped of his PhD and instigating an 'investigation' to that effect. This is scary stuff and puts one in mind of Donald Trump's quixotic pursuit of Barack Obama's birth certificate. As I put it: ‘anyone who has followed the various ‘debates’ revolving around Irish history and what happened in 1921/22 will be aware that ‘alternative facts’ are nothing new in this island.’ I would have thought that what I meant by this was clear but evidently it was not. This was also why I criticised his book on the West Cork Massacre, which was an attempt to be fair but which left too many hostages to fortune to this kind of thing. For this is a world in which historical debate is dragged down into the gutter of misrepresentation and half-truths, where falsehoods are the order of the day, where to say anything in response is to draw another potty-full of wilful distortion down on one’s head to the extent that, as one commentator put it, you feel like you are swimming through a river of slime. Clearly, if the September/October edition of History Ireland is anything to go by, I am in the process of receiving the slurry treatment myself – and all for a book that most people had forgotten about and is as good as out of print. So the term ‘alternative facts’ was not in any way meant to be directed at Keane but rather at somewhat more deserving targets – which I would have assumed anybody familiar with these debates would have been able to see. What will happen now is that the hair-splitters will probably get to work and all kinds of snarky commentary will appear simply because I changed my mind in the face of updated evidence. ‘Murphy’ will be accused of not knowing what he is talking about. ‘One day he says they disappeared, the next day he says they fled; can he not make up his mind?’ Clearly, everything he says from now on is ‘fatally flawed’. He will be deemed untrustworthy, unreliable, everything that can be thrown will be thrown. To an outsider, this is crazy. But this is actually the way these ‘debates’ proceed. If you update your stance based on new information you are savaged; if you fail to update – maybe because the new information is not good enough – you are savaged as well. Is it any wonder that most academic historians have crept quietly away from these ‘debates’ leaving the field open to those who share such views? This is a lose-lose situation. You are damned if you do and damned if you don’t. Editorial Comment, History Ireland September/October 2017. Andy Bielenberg: ‘Gerard Murphy, disappearing Freemasons and the limits of ideological revisionism’, History Ireland, September/October 2017, Vol 25, No. 4 pp. 14-17. © Gerard Murphy. Powered by Blogger.